Repaying student loans is an essential component of your financial future. We are all well aware of the growing animosity toward student loans, but the fact remains that they may be a necessary evil for many people. That’s why we created the free Definitive Guide to Student Loan Debt. It’s important to also remember that, in moderation, student loans can provide you valuable assistance, and there are ways to manage their repayment to maximize the benefits that are available to you. It’s no surprise that student loans become a burden in repayment. They are lingering monthly payments that seemingly goes toward nothing. Because of this, they are often one of the first payments to be missed, or to let slide into delinquency. Even though student loan programs have generous repayment options, you can still default on them, and student loan lenders do report to credit bureaus. Student loans can hurt your credit score just like any other type of loan! If you find yourself in a situation where you are unable to make your monthly payments on time, then you should immediately contact your loan servicer. This will allow you to explore all of the options available to you, and ensure that you choose the option that is best for you. The student loan deferments and forbearances available to you also depends on the type of loan that you have. Here are your options for the most common student loan types. You will need to contact your loan servicer to request your deferment or forbearance options for these loans. If you are in repayment, you should already be receiving monthly statements from your servicer, but if you are not sure who your servicer is, then you can visit http://nslds.gov to find out. This database is also a great resource for keeping track of all of your student loans and managing your repayment plan. When your loans are disbursed, they are automatically placed into an in-school deferment period. This means that as long as you are enrolled at least half-time in school, your loan payments will be postponed. Once you graduate or separate from your school, you will have a six-month grace period, and then your repayment will begin. At this point, you can explore a few options of further postponing your payments. If you graduate with a bachelor’s degree and plan to continue on toward a master’s or other professional degree, then you can apply for an additional in-school deferment on your student loan. Simply contact the registrar’s office for a verification of enrollment, and submit this to your lender. If you are already repaying your loans and decide to go back to school, you can apply using the same process. If you are experiencing economic hardship and are unable to repay your student loans then you can apply for a deferment based on that situation. You may be eligible for up to a three-year deferment if your economic situation does not improve. In this economic climate, this is something to consider. It is important to note, however, that if you have a subsidized Stafford Loan then your interest will also be deferred during your deferment. If you have an unsubsidized Stafford Loan or a PLUS loan, then your interest will continue to accrue during your deferment, and it will be added, or capitalized, to your total loan amount when you begin repayment again. A deferment also must meet strict guidelines set forth by the Department of Education. They are the official governing body on student loan deferments. 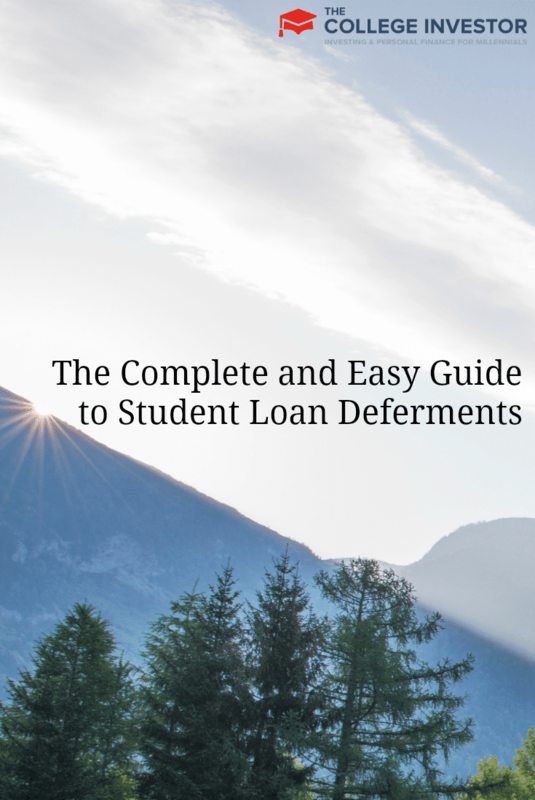 If you are unable to qualify for a student loan deferment based on the federal guidelines, then your lender may be willing to grant you a forbearance, or a temporary stop in your monthly payments. This can only last up to 12 months, and the same rules apply to paying the interest as with a deferment. To be honest, I wish that all active duty soldiers serving more than five years would have their student loans forgiven. The military has a generous tuition assistance program, but I still wish they could do more. However, if you are active duty then you can apply for a deferment which will postpone your payments while you fulfill your military obligations. A Perkins Loan is also a federally subsidized student loan, but it is one that is issued by your school, and it is repaid directly to your school. Many schools use a third-party servicer to manage their repayment so you may actually send your monthly payments and deferment requests through that servicer. 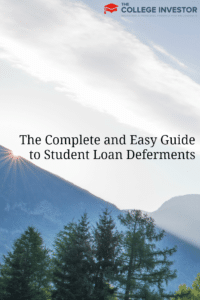 The same deferments apply for Perkins Loans as they do for a Stafford Loan, except Perkins Loan deferment decisions can be made by either your school or their third-party servicer. There are less federal regulations surrounding private or alternative student loans, but the deferment process works the same. You will simply contact your lender for your private loans and request a deferment. Private loans do not have subsidized options, so you will always pay the interest, or have the interest capitalized, during a period of deferment. Your private loan lender will be able to work with you on temporarily postponing your payments, and starting your student loan deferment to help you avoid late payments or a loan default. Have you ever applied for a student loan deferment program? Nice guide, although I do notneed it. Awesome guide! I have never needed to defer student loans, as I’ve never really had student loans. It’s a big weight off of my shoulders, as I know many people do have them and struggle with paying them back. I am sure this guide will be very useful for many.